To score highly on both 2 and 3, you need to pay a lot. At £70, this jacket is quite expensive for a small fold away jacket, but it offers an excellent combination of waterproofing and breathability. This is definitely a proper waterproof jacket (as opposed to ‘water resistant’) I’ve been out in some heavy rain, and feel securely protected from the worst of the weather. But, it’s never too hot, and you can go as hard as you like up hills without becoming excessively sweaty. The other thing I like about the flite version, is that you can pack it up small. It weighs only 140grams for a medium size. I keep it in a saddle bag, so I never have to worry about getting caught out in a deluge. It has pretty good wind-proofing, should it get cold and you need an extra layer. I don’t think anyone buys a waterproof jacket to rate highly in the style stakes. But, it looks fine, does the job and could be best described as neat. 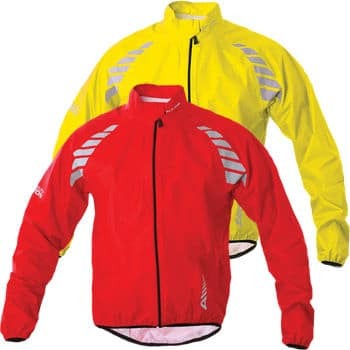 There are reflective stripes to help visibility, though I would probably prefer the yellow jacket if I was buying. It’s completely waterproof, breathable and very easy to pack. It’s really hard to think of what else you could need for a rain jacket. I’ve had quite a few £30 – £40 water resistant shell jackets. But, have always been dissappointed with these. They soon leak, and you wonder if it was worth stopping to put it on anyway. If I’d paid money for it, I’d be much less forgiving about the broken zip. But, if I’d paid money I presume I would have got a replacement. One thing is that it does not seem so easy to buy compared to the ordinary Night Vision. 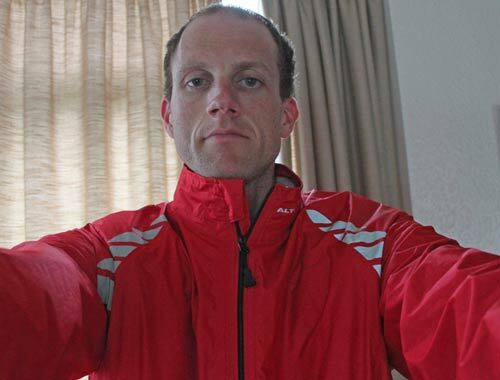 Nice review, i agree with you about the zips, i have just gone back to my old Altura jacket after the night vision jacket zip broke, thats the second one! The zip on the old jacket is much more robust with larger teeth and its bomb proof. All the new Altura jackets have this very fine (not fit for purpose) zip. Will not buy another Altura unless they change the zips, will be looking else where. Thanks, good to know I’m not only one to have problem with zips. Great integrity that you got some free stuff to review, told us you got it free and didn’t turn the post into a paid for advertisement. Which many ‘reviews’ on bikeradar and the like seem to be.